Mines, bombs and explosives are an everyday hazard for both children and adults in Syria. Nearly three million Syrians have already been injured, and the country’s health care system has collapsed. The Red Cross provides help to the injured at rehabilitation centres, without which many would have no future to look forward to. With the aid of donors, the rehabilitation centres can provide their clients with physiotherapy, prostheses, medical aids and equipment, as well as emotional support. A large portion of the injured consists of children and young people. Physiotherapy is a crucial part of an injured person’s rehabilitation programme. Its goal is to remove pain and promote the person’s ability to function, mobility and capacity to work. A physiotherapist also assesses clients’ need for using medical aids and provides instructions on their use. A person who has lost a leg needs crutches while learning how to adapt to their new situation. With the help of crutches, an injured person can stay active and train their sense of balance. Physical activity speeds up both physical and mental recovery. Most people who have lost limbs need new prostheses every 3–4 years, with children needing even more frequent replacements. A prosthesis makes independent movement easier and enables active participation in societal activities. 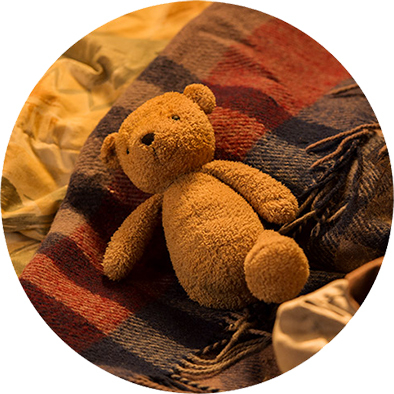 All donations are allocated to help those in need and fund the operation of rehabilitation centres. The aim is to open new centres to make help more readily available. 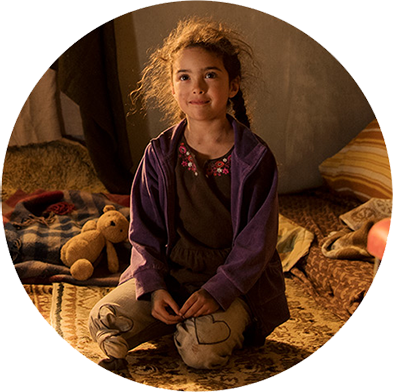 By donating even a small sum regularly, you are contributing to long-term aid work with the aim of lifting the victims of the Syrian crisis back on their feet. 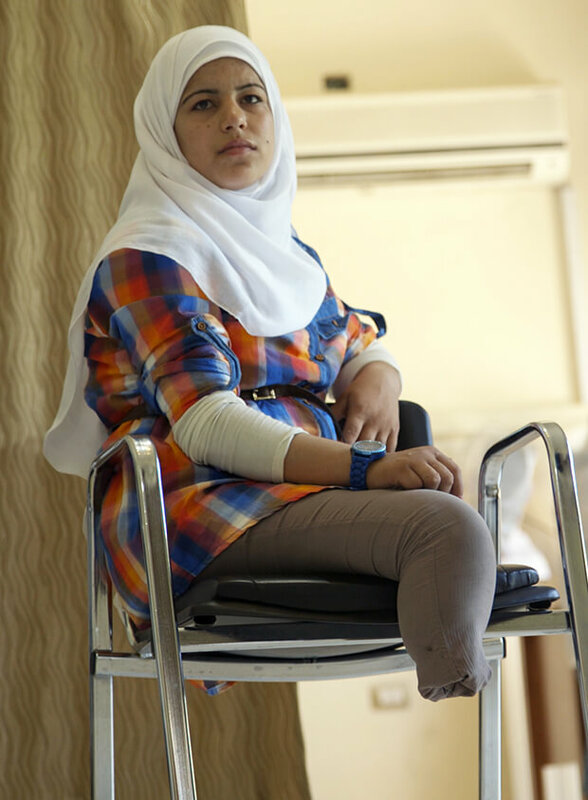 16-year-old Hadra lost both of her legs and her entire 12-person family in the bombings. Her first two months following the incident were spent in a hospital. “When she first started physiotherapy, she was crying out of fatigue and grief, but now she’s doing much better,” says Johanna Klinge, who visited the prosthesis workshop. Hadra is currently living alone in a dormitory in the city of Homs. Two times a week she takes a six-hour car ride to the rehabilitation centre, where she undergoes therapy and tries on prostheses. Getting a new prosthesis can take several weeks and involves multiple measurements and fitting sessions. Sometimes the recipient must undergo an operation to shorten their leg in order to make the prosthesis fit better. Making the actual prosthesis takes approximately one week, after which the recipient can start learning how to walk with it. Seven-year-old Ahmad was playing at home in Idlib, Syria, when a grenade exploded right next to his family’s house. Ahmad lost both of his legs in the attack. When you look at Ahmad now, three years after his first operations, you can see the joy of life shining in his eyes. Ahmad goes to school and his family has moved to a home that does not have any stairs. Ahmad is living an active life and has learned to move well on his prosthetic legs. 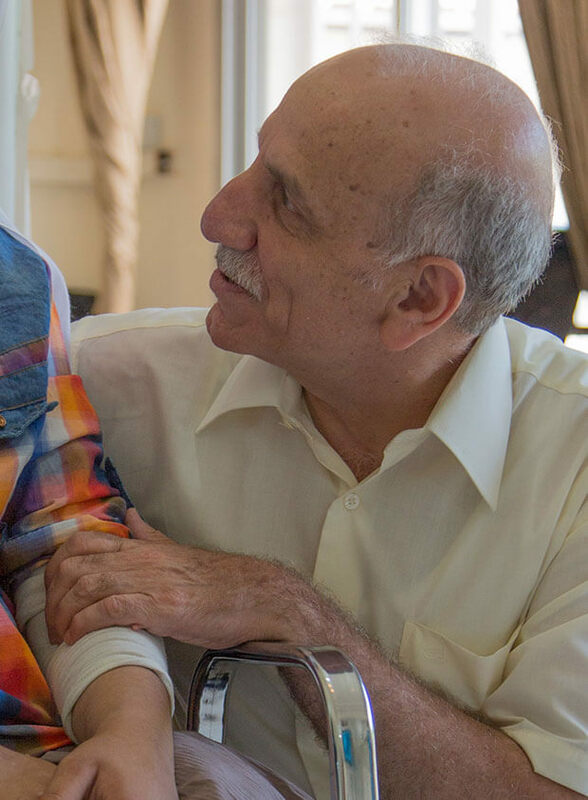 Doctor Nazir Kanaan has served as the director of the Damascus rehabilitation centre for over two years. During that time he has grown very close to the rehabilitation clients, as many of them visit the clinic at least once every three months for check-ups or fitting new prostheses. Nazir is looking forward to moving the centre back to dedicated facilities, as the lack of space in the current temporary premises that the clinic was forced to move into due to the war has prevented the organisation of sports and other activities. In the future, the centre will also be helping rehabilitation clients towards earning their own income through small-scale business activities. Organise an online collection campaign of your own and challenge your friends to help. Make a bigger impact by helping together. Organise an online collection campaign for your company and challenge your clients and partners to pitch in. Thank you for your support. The Syrian Arab Red Crescent distributes the aid reliably to where it is needed. We thank you warmly for your decision to support the work of the Red Cross! Our aid would not be possible without donors like you. Check your post. We will soon be sending you an authorisation for monthly donations and a return envelope (postage paid). Please fill in the authorisation, sign it and return it as soon as possible. Your donation will be charged to your account within four to six weeks. If you have questions about your donation, you can contact the donor services of the Finnish Red Cross, tel. 020 701 2192 (Mon–Fri 8:00 am–4:00 pm) or e-mail lahjoitukset@punainenristi.fi – we will be glad to help! My donation to the disaster relief fund helps where ever help is most needed. At the moment help is most needed in the war zones and the rehabilitation centres around Syria. When a disaster strikes, my donation means lifesaving aid for the victims. Please fill in your contact details to the form below. We will send you the authorization form by post. When you receive the form, please complete the missing information and return it to us with the return envelope enclosed. We are happy to help with your enquiries regarding monthly donation. 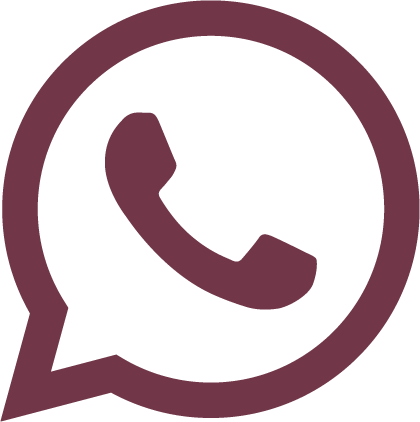 Please contact us on lahjoitukset@punainenristi.fi or call 020 701 2192. Information will be registered in the Red Cross supporter database and will not be shared with the third party.